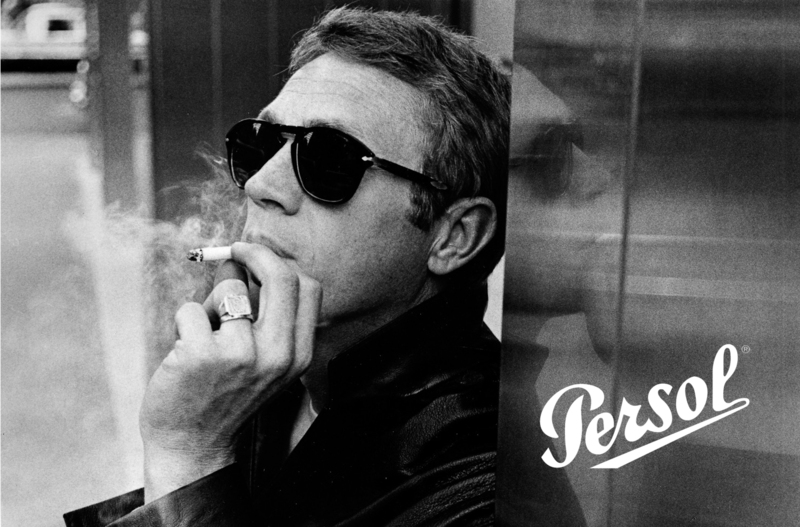 Persol is one of the oldest fashion eyewear brands in the world. Persol was first made as a military sunglasses and goggles and then evolved into men's military sunglasses brand and now a fashion brand. Persol sunglasses are mostly known for their patented design of flex hinges and also for the quality hand crafted details around the temples and bridge. Buy Persol PO6649SM sunglasses online at a friendly price. Originally made in 2019, Persol PO6649SM are lightweight plastic frames. Each pair of authentic Persol sunglasses ships worldwide with authenticity certificate, Persol box, case and a cleaning cloth. Buy Persol PO3229S sunglasses online at a friendly price. Originally made in 2019, Persol PO3229S are lightweight plastic frames. Each pair of authentic Persol sunglasses ships worldwide with authenticity certificate, Persol box, case and a cleaning cloth. Buy Persol PO3217S sunglasses online at a friendly price. Originally made in 2019, Persol PO3217S are lightweight plastic frames. Each pair of authentic Persol sunglasses ships worldwide with authenticity certificate, Persol box, case and a cleaning cloth. Buy Persol PO3216S sunglasses online at a friendly price. Originally made in 2019, Persol PO3216S are lightweight plastic frames. Each pair of authentic Persol sunglasses ships worldwide with authenticity certificate, Persol box, case and a cleaning cloth. Buy Persol PO3215S sunglasses online at a friendly price. Originally made in 2019, Persol PO3215S are lightweight plastic frames. Each pair of authentic Persol sunglasses ships worldwide with authenticity certificate, Persol box, case and a cleaning cloth. Buy Persol PO3214S sunglasses online at a friendly price. Originally made in 2019, Persol PO3214S are lightweight plastic frames. Each pair of authentic Persol sunglasses ships worldwide with authenticity certificate, Persol box, case and a cleaning cloth. Buy Persol PO3204SM sunglasses online at a friendly price. Originally made in 2019, Persol PO3204SM are lightweight plastic frames. Each pair of authentic Persol sunglasses ships worldwide with authenticity certificate, Persol box, case and a cleaning cloth. Buy Persol PO3149S sunglasses online at a friendly price. Originally made in 2019, Persol PO3149S are lightweight plastic frames. Each pair of authentic Persol sunglasses ships worldwide with authenticity certificate, Persol box, case and a cleaning cloth. Buy Persol PO3132S sunglasses online at a friendly price. Originally made in 2019, Persol PO3132S are lightweight plastic frames. Each pair of authentic Persol sunglasses ships worldwide with authenticity certificate, Persol box, case and a cleaning cloth. Buy Persol PO3129S sunglasses online at a friendly price. Originally made in 2019, Persol PO3129S are lightweight plastic frames. Each pair of authentic Persol sunglasses ships worldwide with authenticity certificate, Persol box, case and a cleaning cloth. Buy Persol PO3111S sunglasses online at a friendly price. Originally made in 2019, Persol PO3111S are lightweight plastic frames. Each pair of authentic Persol sunglasses ships worldwide with authenticity certificate, Persol box, case and a cleaning cloth. Buy Persol PO2458S sunglasses online at a friendly price. Originally made in 2019, Persol PO2458S are lightweight metal frames. Each pair of authentic Persol sunglasses ships worldwide with authenticity certificate, Persol box, case and a cleaning cloth. Buy Persol PO2457S sunglasses online at a friendly price. Originally made in 2019, Persol PO2457S are lightweight metal frames. Each pair of authentic Persol sunglasses ships worldwide with authenticity certificate, Persol box, case and a cleaning cloth. Buy Persol PO2456S sunglasses online at a friendly price. Originally made in 2019, Persol PO2456S are lightweight metal frames. Each pair of authentic Persol sunglasses ships worldwide with authenticity certificate, Persol box, case and a cleaning cloth. Buy Persol PO2455S sunglasses online at a friendly price. Originally made in 2019, Persol PO2455S are lightweight metal frames. Each pair of authentic Persol sunglasses ships worldwide with authenticity certificate, Persol box, case and a cleaning cloth. Buy Persol PO2454S sunglasses online at a friendly price. Originally made in 2019, Persol PO2454S are lightweight metal frames. Each pair of authentic Persol sunglasses ships worldwide with authenticity certificate, Persol box, case and a cleaning cloth. Buy Persol PO3213V glasses online at a friendly price. Originally made in 2019, Persol PO3213V are lightweight plastic frames. Each pair of authentic Persol glasses ships worldwide with authenticity certificate, Persol box, case and a cleaning cloth. Buy Persol PO3212V glasses online at a friendly price. Originally made in 2019, Persol PO3212V are lightweight plastic frames. Each pair of authentic Persol glasses ships worldwide with authenticity certificate, Persol box, case and a cleaning cloth. Buy Persol PO3211V glasses online at a friendly price. Originally made in 2019, Persol PO3211V are lightweight plastic frames. Each pair of authentic Persol glasses ships worldwide with authenticity certificate, Persol box, case and a cleaning cloth. Buy Persol PO3131V glasses online at a friendly price. Originally made in 2019, Persol PO3131V are lightweight plastic frames. Each pair of authentic Persol glasses ships worldwide with authenticity certificate, Persol box, case and a cleaning cloth. Buy Persol PO3059V glasses online at a friendly price. Originally made in 2019, Persol PO3059V are lightweight plastic frames. Each pair of authentic Persol glasses ships worldwide with authenticity certificate, Persol box, case and a cleaning cloth. Buy Persol PO2965VM glasses online at a friendly price. Originally made in 2019, Persol PO2965VM are lightweight plastic frames. Each pair of authentic Persol glasses ships worldwide with authenticity certificate, Persol box, case and a cleaning cloth. Buy Persol PO2453V glasses online at a friendly price. Originally made in 2019, Persol PO2453V are lightweight metal frames. Each pair of authentic Persol glasses ships worldwide with authenticity certificate, Persol box, case and a cleaning cloth. Buy Persol PO2452V glasses online at a friendly price. Originally made in 2019, Persol PO2452V are lightweight metal frames. Each pair of authentic Persol glasses ships worldwide with authenticity certificate, Persol box, case and a cleaning cloth. Buy Persol PO3194S sunglasses online at a friendly price. Originally made in 2018, Persol PO3194S are lightweight plastic frames. Each pair of authentic Persol sunglasses ships worldwide with authenticity certificate, Persol box, case and a cleaning cloth. Buy Persol PO3210S sunglasses online at a friendly price. Originally made in 2018, Persol PO3210S are lightweight plastic frames. Each pair of authentic Persol sunglasses ships worldwide with authenticity certificate, Persol box, case and a cleaning cloth. Buy Persol PO3208S sunglasses online at a friendly price. Originally made in 2018, Persol PO3208S are lightweight plastic frames. Each pair of authentic Persol sunglasses ships worldwide with authenticity certificate, Persol box, case and a cleaning cloth. Buy Persol PO3206S sunglasses online at a friendly price. Originally made in 2018, Persol PO3206S are lightweight plastic frames. Each pair of authentic Persol sunglasses ships worldwide with authenticity certificate, Persol box, case and a cleaning cloth. Buy Persol PO3204S sunglasses online at a friendly price. Originally made in 2018, Persol PO3204S are lightweight plastic frames. Each pair of authentic Persol sunglasses ships worldwide with authenticity certificate, Persol box, case and a cleaning cloth. Buy Persol PO3198S sunglasses online at a friendly price. Originally made in 2018, Persol PO3198S are lightweight plastic frames. Each pair of authentic Persol sunglasses ships worldwide with authenticity certificate, Persol box, case and a cleaning cloth. Buy Persol PO2649S sunglasses online at a friendly price. Originally made in 2018, Persol PO2649S are lightweight metal frames. Each pair of authentic Persol sunglasses ships worldwide with authenticity certificate, Persol box, case and a cleaning cloth. Buy Persol PO2449S sunglasses online at a friendly price. Originally made in 2018, Persol PO2449S are lightweight metal frames. Each pair of authentic Persol sunglasses ships worldwide with authenticity certificate, Persol box, case and a cleaning cloth. Buy Persol PO3209V glasses online at a friendly price. Originally made in 2018, Persol PO3209V are lightweight plastic frames. Each pair of authentic Persol glasses ships worldwide with authenticity certificate, Persol box, case and a cleaning cloth. Buy Persol PO3207V glasses online at a friendly price. Originally made in 2018, Persol PO3207V are lightweight plastic frames. Each pair of authentic Persol glasses ships worldwide with authenticity certificate, Persol box, case and a cleaning cloth. Buy Persol PO3205V glasses online at a friendly price. Originally made in 2018, Persol PO3205V are lightweight plastic frames. Each pair of authentic Persol glasses ships worldwide with authenticity certificate, Persol box, case and a cleaning cloth. Buy Persol PO3203V glasses online at a friendly price. Originally made in 2018, Persol PO3203V are lightweight plastic frames. Each pair of authentic Persol glasses ships worldwide with authenticity certificate, Persol box, case and a cleaning cloth. Buy Persol PO3202V glasses online at a friendly price. Originally made in 2018, Persol PO3202V are lightweight plastic frames. Each pair of authentic Persol glasses ships worldwide with authenticity certificate, Persol box, case and a cleaning cloth. Buy Persol PO3201V glasses online at a friendly price. Originally made in 2018, Persol PO3201V are lightweight plastic frames. Each pair of authentic Persol glasses ships worldwide with authenticity certificate, Persol box, case and a cleaning cloth. Buy Persol PO2451V glasses online at a friendly price. Originally made in 2018, Persol PO2451V are lightweight metal frames. Each pair of authentic Persol glasses ships worldwide with authenticity certificate, Persol box, case and a cleaning cloth. Buy Persol PO2450V glasses online at a friendly price. Originally made in 2018, Persol PO2450V are lightweight metal frames. Each pair of authentic Persol glasses ships worldwide with authenticity certificate, Persol box, case and a cleaning cloth. Buy Persol PO3197V glasses online at a friendly price. Originally made in 2018, Persol PO3197V are lightweight plastic frames. Each pair of authentic Persol glasses ships worldwide with authenticity certificate, Persol box, case and a cleaning cloth. Buy Persol PO3196V glasses online at a friendly price. Originally made in 2018, Persol PO3196V are lightweight plastic frames. Each pair of authentic Persol glasses ships worldwide with authenticity certificate, Persol box, case and a cleaning cloth. Buy Persol PO3199S sunglasses online at a friendly price. Originally made in 2018, Persol PO3199S are lightweight plastic frames. Each pair of authentic Persol sunglasses ships worldwide with authenticity certificate, Persol box, case and a cleaning cloth. Buy Persol PO3195S sunglasses online at a friendly price. Originally made in 2017, Persol PO3195S are lightweight plastic frames. Each pair of authentic Persol sunglasses ships worldwide with authenticity certificate, Persol box, case and a cleaning cloth. Buy Persol PO3193S sunglasses online at a friendly price. Originally made in 2017, Persol PO3193S are lightweight plastic frames. Each pair of authentic Persol sunglasses ships worldwide with authenticity certificate, Persol box, case and a cleaning cloth. Buy Persol PO3191S sunglasses online at a friendly price. Originally made in 2017, Persol PO3191S are lightweight plastic frames. Each pair of authentic Persol sunglasses ships worldwide with authenticity certificate, Persol box, case and a cleaning cloth. Buy Persol PO3190S sunglasses online at a friendly price. Originally made in 2017, Persol PO3190S are lightweight plastic frames. Each pair of authentic Persol sunglasses ships worldwide with authenticity certificate, Persol box, case and a cleaning cloth. Buy Persol PO3186S sunglasses online at a friendly price. Originally made in 2017, Persol PO3186S are lightweight plastic frames. Each pair of authentic Persol sunglasses ships worldwide with authenticity certificate, Persol box, case and a cleaning cloth. Buy Persol PO3184S sunglasses online at a friendly price. Originally made in 2017, Persol PO3184S are lightweight plastic frames. Each pair of authentic Persol sunglasses ships worldwide with authenticity certificate, Persol box, case and a cleaning cloth. Buy Persol PO2446S sunglasses online at a friendly price. Originally made in 2017, Persol PO2446S are lightweight metal frames. Each pair of authentic Persol sunglasses ships worldwide with authenticity certificate, Persol box, case and a cleaning cloth. Buy Persol PO2445S sunglasses online at a friendly price. Originally made in 2017, Persol PO2445S are lightweight metal frames. Each pair of authentic Persol sunglasses ships worldwide with authenticity certificate, Persol box, case and a cleaning cloth. Buy Persol PO3189V glasses online at a friendly price. Originally made in 2017, Persol PO3189V are lightweight plastic frames. Each pair of authentic Persol glasses ships worldwide with authenticity certificate, Persol box, case and a cleaning cloth. Buy Persol PO3188V glasses online at a friendly price. Originally made in 2017, Persol PO3188V are lightweight plastic frames. Each pair of authentic Persol glasses ships worldwide with authenticity certificate, Persol box, case and a cleaning cloth. Buy Persol PO3187V glasses online at a friendly price. Originally made in 2017, Persol PO3187V are lightweight plastic frames. Each pair of authentic Persol glasses ships worldwide with authenticity certificate, Persol box, case and a cleaning cloth. Buy Persol PO3185V glasses online at a friendly price. Originally made in 2017, Persol PO3185V are lightweight plastic frames. Each pair of authentic Persol glasses ships worldwide with authenticity certificate, Persol box, case and a cleaning cloth. Buy Persol PO3182V glasses online at a friendly price. Originally made in 2017, Persol PO3182V are lightweight plastic frames. Each pair of authentic Persol glasses ships worldwide with authenticity certificate, Persol box, case and a cleaning cloth. Buy Persol PO3180V glasses online at a friendly price. Originally made in 2017, Persol PO3180V are lightweight plastic frames. Each pair of authentic Persol glasses ships worldwide with authenticity certificate, Persol box, case and a cleaning cloth. Buy Persol PO2447V glasses online at a friendly price. Originally made in 2017, Persol PO2447V are lightweight metal frames. Each pair of authentic Persol glasses ships worldwide with authenticity certificate, Persol box, case and a cleaning cloth. Buy Persol PO6649S sunglasses online at a friendly price. Originally made in 2017, Persol PO6649S are lightweight plastic frames. Each pair of authentic Persol sunglasses ships worldwide with authenticity certificate, Persol box, case and a cleaning cloth. Buy Persol PO3183S sunglasses online at a friendly price. Originally made in 2017, Persol PO3183S are lightweight plastic frames. Each pair of authentic Persol sunglasses ships worldwide with authenticity certificate, Persol box, case and a cleaning cloth. Buy Persol PO3173S sunglasses online at a friendly price. Originally made in 2017, Persol PO3173S are lightweight plastic frames. Each pair of authentic Persol sunglasses ships worldwide with authenticity certificate, Persol box, case and a cleaning cloth. Buy Persol PO3172S sunglasses online at a friendly price. Originally made in 2017, Persol PO3172S are lightweight plastic frames. Each pair of authentic Persol sunglasses ships worldwide with authenticity certificate, Persol box, case and a cleaning cloth. Buy Persol PO3171S sunglasses online at a friendly price. Originally made in 2017, Persol PO3171S are lightweight plastic frames. Each pair of authentic Persol sunglasses ships worldwide with authenticity certificate, Persol box, case and a cleaning cloth. Buy Persol PO3170S sunglasses online at a friendly price. Originally made in 2017, Persol PO3170S are lightweight plastic frames. Each pair of authentic Persol sunglasses ships worldwide with authenticity certificate, Persol box, case and a cleaning cloth. Buy Persol PO3183V glasses online at a friendly price. Originally made in 2017, Persol PO3183V are lightweight plastic frames. Each pair of authentic Persol glasses ships worldwide with authenticity certificate, Persol box, case and a cleaning cloth. Buy Persol PO3178V glasses online at a friendly price. Originally made in 2017, Persol PO3178V are lightweight plastic frames. Each pair of authentic Persol glasses ships worldwide with authenticity certificate, Persol box, case and a cleaning cloth. Buy Persol PO3176V glasses online at a friendly price. Originally made in 2017, Persol PO3176V are lightweight plastic frames. Each pair of authentic Persol glasses ships worldwide with authenticity certificate, Persol box, case and a cleaning cloth. Buy Persol PO3175V glasses online at a friendly price. Originally made in 2017, Persol PO3175V are lightweight plastic frames. Each pair of authentic Persol glasses ships worldwide with authenticity certificate, Persol box, case and a cleaning cloth. Buy Persol PO3174V glasses online at a friendly price. Originally made in 2017, Persol PO3174V are lightweight plastic frames. Each pair of authentic Persol glasses ships worldwide with authenticity certificate, Persol box, case and a cleaning cloth. Buy Persol PO7649S sunglasses online at a friendly price. Originally made in 2017, Persol PO7649S are lightweight metal frames. Each pair of authentic Persol sunglasses ships worldwide with authenticity certificate, Persol box, case and a cleaning cloth. Buy Persol PO7359S sunglasses online at a friendly price. Originally made in 2017, Persol PO7359S are lightweight metal frames. Each pair of authentic Persol sunglasses ships worldwide with authenticity certificate, Persol box, case and a cleaning cloth. Buy Persol PO7092V glasses online at a friendly price. Originally made in 2017, Persol PO7092V are lightweight metal frames. Each pair of authentic Persol glasses ships worldwide with authenticity certificate, Persol box, case and a cleaning cloth. Buy Persol PO7007V glasses online at a friendly price. Originally made in 2017, Persol PO7007V are lightweight metal frames. Each pair of authentic Persol glasses ships worldwide with authenticity certificate, Persol box, case and a cleaning cloth. Buy Persol PO3166S sunglasses online at a friendly price. Originally made in 2016, Persol PO3166S are lightweight plastic frames. Each pair of authentic Persol sunglasses ships worldwide with authenticity certificate, Persol box, case and a cleaning cloth. Buy Persol PO3165S sunglasses online at a friendly price. Originally made in 2016, Persol PO3165S are lightweight plastic frames. Each pair of authentic Persol sunglasses ships worldwide with authenticity certificate, Persol box, case and a cleaning cloth. Buy Persol PO3164S sunglasses online at a friendly price. Originally made in 2016, Persol PO3164S are lightweight plastic frames. Each pair of authentic Persol sunglasses ships worldwide with authenticity certificate, Persol box, case and a cleaning cloth. Buy Persol PO3159S sunglasses online at a friendly price. Originally made in 2016, Persol PO3159S are lightweight plastic frames. Each pair of authentic Persol sunglasses ships worldwide with authenticity certificate, Persol box, case and a cleaning cloth. Buy Persol PO3158S sunglasses online at a friendly price. Originally made in 2016, Persol PO3158S are lightweight plastic frames. Each pair of authentic Persol sunglasses ships worldwide with authenticity certificate, Persol box, case and a cleaning cloth. Buy Persol PO3157S sunglasses online at a friendly price. Originally made in 2016, Persol PO3157S are lightweight plastic frames. Each pair of authentic Persol sunglasses ships worldwide with authenticity certificate, Persol box, case and a cleaning cloth. Buy Persol PO3156S sunglasses online at a friendly price. Originally made in 2016, Persol PO3156S are lightweight plastic frames. Each pair of authentic Persol sunglasses ships worldwide with authenticity certificate, Persol box, case and a cleaning cloth. Buy Persol PO3168V glasses online at a friendly price. Originally made in 2016, Persol PO3168V are lightweight plastic frames. Each pair of authentic Persol glasses ships worldwide with authenticity certificate, Persol box, case and a cleaning cloth. Buy Persol PO3167V glasses online at a friendly price. Originally made in 2016, Persol PO3167V are lightweight plastic frames. Each pair of authentic Persol glasses ships worldwide with authenticity certificate, Persol box, case and a cleaning cloth. Buy Persol PO3162V glasses online at a friendly price. Originally made in 2016, Persol PO3162V are lightweight plastic frames. Each pair of authentic Persol glasses ships worldwide with authenticity certificate, Persol box, case and a cleaning cloth. Buy Persol PO3161V glasses online at a friendly price. Originally made in 2016, Persol PO3161V are lightweight plastic frames. Each pair of authentic Persol glasses ships worldwide with authenticity certificate, Persol box, case and a cleaning cloth. Buy Persol PO3160V glasses online at a friendly price. Originally made in 2016, Persol PO3160V are lightweight plastic frames. Each pair of authentic Persol glasses ships worldwide with authenticity certificate, Persol box, case and a cleaning cloth. Buy Persol PO3152S sunglasses online at a friendly price. Originally made in 2016, Persol PO3152S are lightweight plastic frames. Each pair of authentic Persol sunglasses ships worldwide with authenticity certificate, Persol box, case and a cleaning cloth. Buy Persol PO3153V glasses online at a friendly price. Originally made in 2016, Persol PO3153V are lightweight plastic frames. Each pair of authentic Persol glasses ships worldwide with authenticity certificate, Persol box, case and a cleaning cloth. Buy Persol PO3146V glasses online at a friendly price. Originally made in 2016, Persol PO3146V are lightweight plastic frames. Each pair of authentic Persol glasses ships worldwide with authenticity certificate, Persol box, case and a cleaning cloth. Buy Persol PO3143V glasses online at a friendly price. Originally made in 2016, Persol PO3143V are lightweight plastic frames. Each pair of authentic Persol glasses ships worldwide with authenticity certificate, Persol box, case and a cleaning cloth. Buy Persol PO3141V glasses online at a friendly price. Originally made in 2016, Persol PO3141V are lightweight plastic frames. Each pair of authentic Persol glasses ships worldwide with authenticity certificate, Persol box, case and a cleaning cloth. Buy Persol PO8649S sunglasses online at a friendly price. Originally made in 2016, Persol PO8649S are lightweight metal frames. Each pair of authentic Persol sunglasses ships worldwide with authenticity certificate, Persol box, case and a cleaning cloth. Buy Persol PO3154S sunglasses online at a friendly price. Originally made in 2016, Persol PO3154S are lightweight plastic frames. Each pair of authentic Persol sunglasses ships worldwide with authenticity certificate, Persol box, case and a cleaning cloth. Buy Persol PO8359V glasses online at a friendly price. Originally made in 2016, Persol PO8359V are lightweight metal frames. Each pair of authentic Persol glasses ships worldwide with authenticity certificate, Persol box, case and a cleaning cloth. Buy Persol PO8129V glasses online at a friendly price. Originally made in 2016, Persol PO8129V are lightweight metal frames. Each pair of authentic Persol glasses ships worldwide with authenticity certificate, Persol box, case and a cleaning cloth. Buy Persol PO3135S sunglasses online at a friendly price. Originally made in 2015, Persol PO3135S are lightweight plastic frames. Each pair of authentic Persol sunglasses ships worldwide with authenticity certificate, Persol box, case and a cleaning cloth. Buy Persol PO3132S sunglasses online at a friendly price. Originally made in 2015, Persol PO3132S are lightweight metal frames. Each pair of authentic Persol sunglasses ships worldwide with authenticity certificate, Persol box, case and a cleaning cloth. Buy Persol PO3124S sunglasses online at a friendly price. Originally made in 2015, Persol PO3124S are lightweight plastic frames. Each pair of authentic Persol sunglasses ships worldwide with authenticity certificate, Persol box, case and a cleaning cloth. Buy Persol PO9714S sunglasses online at a friendly price. Originally made in 2015, Persol PO9714S are lightweight plastic frames. Each pair of authentic Persol sunglasses ships worldwide with authenticity certificate, Persol box, case and a cleaning cloth. Buy Persol PO9649S sunglasses online at a friendly price. Originally made in 2015, Persol PO9649S are lightweight plastic frames. Each pair of authentic Persol sunglasses ships worldwide with authenticity certificate, Persol box, case and a cleaning cloth. Buy Persol PO3113S sunglasses online at a friendly price. Originally made in 2015, Persol PO3113S are lightweight plastic frames. Each pair of authentic Persol sunglasses ships worldwide with authenticity certificate, Persol box, case and a cleaning cloth.